Crossing Swords, an animated comedy series, will be coming to Hulu with Nicholas Hoult (X-Men, Warm Bodies, Mad Max) at its helm. 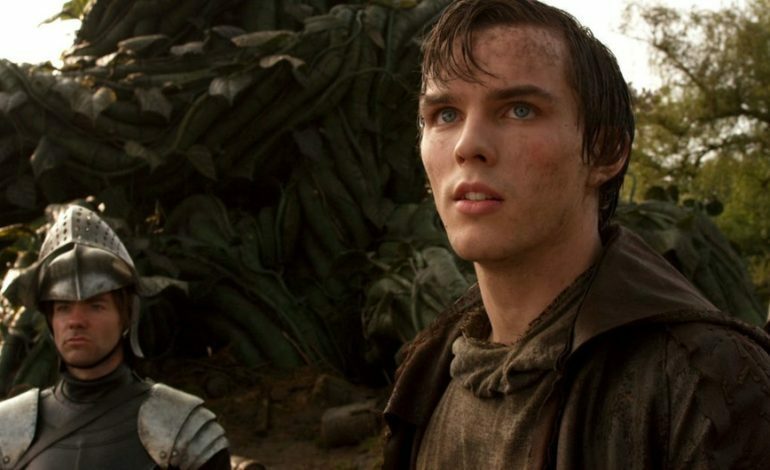 The show, which was first announced earlier this year, will follow Hoult’s character, Patrick, as he goes through a major shift in social status. Patrick, a man who has grown up in the peasant class, is thrown into a world of unfamiliarity after landing his dream job at the castle of the kingdom’s ruling family, in which he holds the position of a squire. This job, although one he greatly wanted, turns out to be quite different than the one he expected, as he learns of the bizarre quality of the group who resides in such a high position. As if this wasn’t bad enough, Patrick also has to deal with evading his siblings, who have come back to bother him ruthlessly. A few other celebrities have also signed on as voice actors for the series, including Tony Hale (Arrested Development, VEEP), Wendi McLendon-Covey (The Goldbergs), and Luke Evans (Dracula Untold, Beauty and the Beast). The show comes from the minds of John Harvatine IV and Tom Root, who will also executive produce the series. This will not be their first collaboration, however, as the two previously worked together on the popular animated series Robot Chicken. Cross Swords will be joining an already-extensive collection of animated programs on Hulu, which airs a multitude of series in the genre for any-time streaming. With such popular hits as Rick and Morty, South Park, and Futurama available to subscribers, the network has secured its place as an essential outlet for all fans of animated comedy. The competition the platform faces from Netflix, however, has proved to be substantial time and time again. This was likely even highlighted by the brand’s continued success with original animated programming, a category still widely untouched by Hulu. Having series like BoJack Horseman, Big Mouth, and Enchantment, Netflix has gained the jump-start in the beloved television category. This certainly does not mean the genre is wrapped up, however, with Hulu even proving this with their recent announcement of Crossing Swords. The show will not premier until 2020.